Self-catering Villa with 3 bedrooms and 3 bathrooms. Sleeps 6. Saturday changeover. 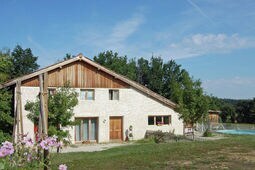 Self-catering Villa with 2 bedrooms and 2 bathrooms. Sleeps 6. Saturday changeover. Self-catering Villa with 4 bedrooms and 3 bathrooms. Sleeps 8. Saturday changeover. Self-catering Villa with 4 bedrooms and 3 bathrooms. Sleeps 10. Saturday changeover. Self-catering Villa with 3 bedrooms and 2 bathrooms. Sleeps 10. Saturday changeover. Self-catering Villa with 2 bedrooms and 1 bathrooms. Sleeps 6. Saturday changeover. Self-catering Villa with 4 bedrooms and 1 bathrooms. Sleeps 10. Saturday changeover. Self-catering Villa with 5 bedrooms and 3 bathrooms. Sleeps 12. Saturday changeover. Self-catering Villa with 4 bedrooms and 2 bathrooms. Sleeps 10. Saturday changeover. Self-catering Villa with 3 bedrooms and 2 bathrooms. Sleeps 8. Saturday changeover. The unspoilt South West of France includes Aquitaine, Midi Pyrenees, and Poitou Charentes making for a peaceful and relaxing holiday destination. A quiet, sunny region taking in Spanish border country, the Pyrenees and the southern Atlantic coast. Aquitaine has vineyards, history, the Dordogne and Périgord. Midi Pyrennees includes Pyrennean peaks, and the sloping hillsides of Gascony. Poitou Charentes is the home of cognac and lies on the west coast, spreading inland from the Atlantic at La Rochelle. The South West of France has so much to offer holidays makers. It is the essence of rural France, with amazing food, wines, châteaux, vineyards and sunflower fields. There are sweeping vistas of both mountains and sea. The area also boasts a rich and vibrant history that spans tens of thousands of years, typified by the narrow streets of the medieval fortified city of Carcassonne, Gallo-Roman ruins and prehistoric cave paintings. Bordeaux, the capital of Aquitaine, holds claim as the most influential wine region in the world with renowned vineyards dotting the landscape. The South West of France is also home to the distinguished university city of Toulouse, regarded as one of the best places to live. The region is one of the sunniest areas of Europe with in excess of 300 sunny days a year on average. There is a huge amount of parkland, including more than 200,000 acres in the Pyrenees National Park alone. There are great walking, hiking and adventure opportunities for the more active holidaymaker. Climb to the ruins at Montsegur, where the Cathar religious sect made a lengthy stand against 10,000 Crusaders before voluntarily marking to their fiery deaths rather than convert their spiritual beliefs. From Bordeaux to Basque country, a land of truffles and armagnac, sunflowers and foie-gras, mountain villages, warm, generous people and wine. The diverse landscape spans Atlantic beaches, the Pyrenees mountains, flat forest land and the Dordogne with its rolling hills and pastoral river valleys. Centre of prehistory in France with fascinating museums and cave paintings. Now peaceful fortified villages and castles bear witness to 12th century conflict between England and France after Eleanor of Aquitaine married Henry Plantagenet. Vast uncrowded beaches and numerous rivers, canals and lakes for canoeing, kayaking, rafting, swimming and fishing. Excellent skiing resorts in memorable scenery of the Pyrenees. Find out more about Aquitaine and search for holiday properties. Lesser known area off the main tourist track with unique history, landscape, culture, and cuisine. One of the sunniest regions of France, with over 2000 hours of sunshine per year, and a year-round destination. Spring is favourite for walkers and ramblers; July and August for long hot days round the pool or on a sandy lake beach; autumn often offers an Indian summer with beautiful blue skies; winter perfect for skiing & snowboarding. Toulouse is regional capital, centre of the French aerospace industry and a lively, southern, cosmopolitan city, rich in art and architecture. 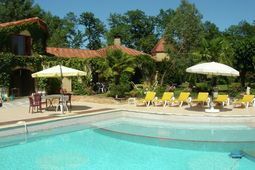 Find out more about Midi Pyrenees and search for holiday properties. A tranquil, almost completely unspoilt region with virtually no industry and a mild, sunny climate. 300 mile Atlantic coastline noted for long sandy beaches, marinas, golf courses, pine forests and islands. Towns include Angoulème and the port of La Rochelle; a distinctive country area is the Marais Poitevin marsh and waterway system known as ‘Green Venice’. Well known for the production of fine brandies, centred around Cognac and Jarnac; vineyards and brandy cellars open to visit. 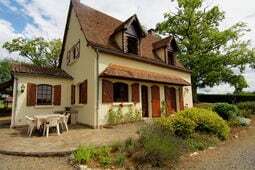 Find out more about Poitou Charentes and search for holiday properties.